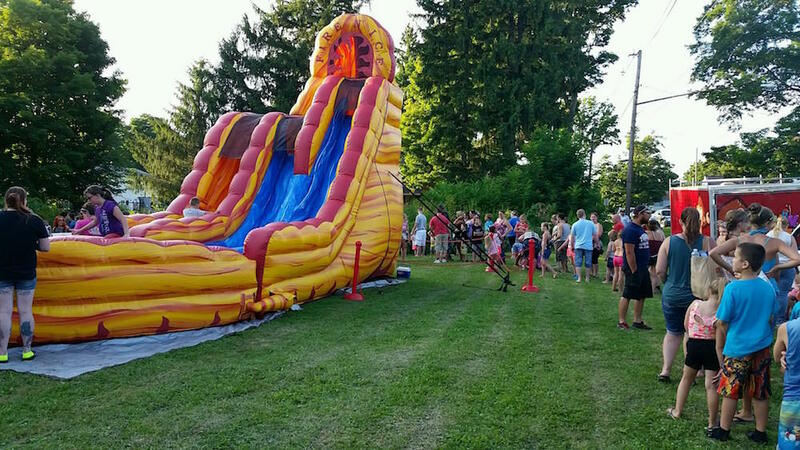 Inflatable water slide rentals are a great way to cool off on those hot summer days and make your party unforgettable. Water slides come in all shapes and sizes from small 12' slides for small children and toddlers all the way up to 40' or more for big kids and adults. Single lane, double lane and some even have 3 lanes of sliding fun. 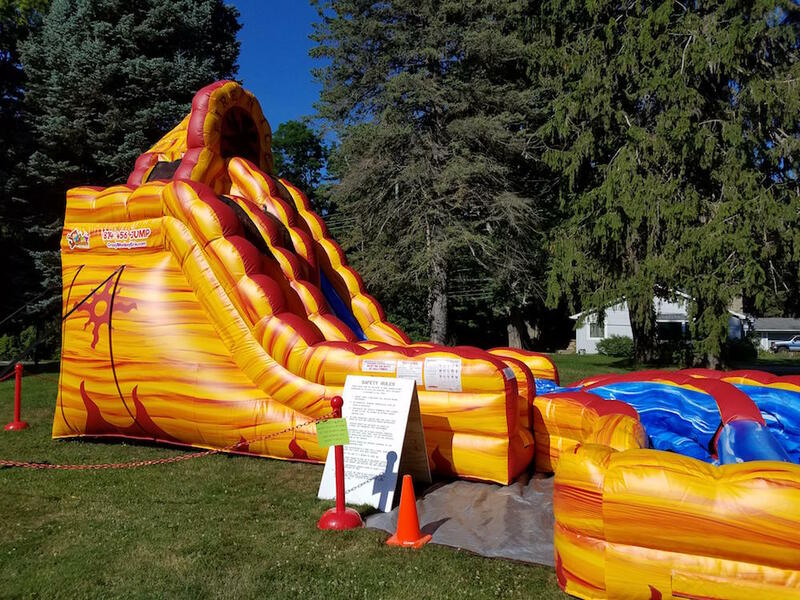 First, when renting a water slide for your party or event make sure you have enough room and check the dimensions on the website or call your rental company and ask how much room you need. Second, make sure you have a water source nearby. A normal spigot on the side of your house will work as most slides only use a soaker hose, averaging about 15 to 20 gallons in hour, which is less than taking a shower. Last, you need a good 20 amp circuit or two depending on the size of the slide as it may take more than one blower. When renting a silde make sure it is properly installed by a licensed and insured professional company. In Pennsylvania it is required that an owner or employee take a minimum of two days of classes and take a test to become a licensed inspector. The state also requires that an inspection is completed during each public event and also monthly inspections on all units. Pennsylvania requires that we register every inflatable ride with the Dept. of Agriculture and each ride after approved by the state and before it can be used, making Pennsylvania one of the most regulated states on the country. A properly installed commercial unit is extremely safe. Beware of cheaply made units and non pro installers,as they can be very dangerous. Proper stakes, routine safety inspections, proper set up with a safety perimeter and GFI on a properly sized extension cord are a must. Here at Crazy Monkey Inc. we have licensed inspectors and we are properly insured. We take the set up process very seriously making sure we are following the Pennsylvania laws and ASTM standards to make your party or event safe and fun for all.